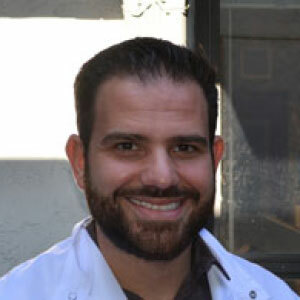 Dr. Diego Baratelli completed his Bachelor and Master of Science degree with a specialization in Health Education and Behavior at the University of Florida in 2010. He received his Doctorate of Dental Medicine from Nova Southeastern University in 2014, where he excelled and learned the latest that dentistry has to offer, including painless, cosmetic and digital CAD-CAM dentistry. Dr. Baratelli is a strong believer that the greatest medicine of all is teaching others how to prevent the need for it. Patient education is of paramount importance to him and he firmly believes that health is not merely the absence of disease but rather a state of overall well-being. He takes the time to listen to the needs of every patient and create a treatment plan that is tailored to their specific goals, and is well trained on delivering comfortable, painless care. Dr. Baratelli enjoys treating pediatric patients and patients with special needs. He was a volunteer and researcher at the Sidney Lanier Fitness and Research Program. This program is partners with the Sidney Lanier School in Gainesville, a school specializing in the education of students with intellectual disabilities. During his studies, Dr. Baratelli also served as project manager of two National Institutes of Health-funded oral cancer grants. He has also organized several dental mission trips to serve indigent communities in rural Guatemala. Dr. Baratelli is trained in the most innovative techniques of cosmetic and restorative dentistry. He has had advanced education in root canal therapy and uses evidence-based practices on a daily basis. Dr. Baratelli has completed an academic CAD/CAM (Computer Aided Design/ Computer Aided Manufacturing) course to produce porcelain crowns chair side and eliminate the need for traditional impressions. Dr. Baratelli is currently in the process of becoming trained in Sleep Apnea management using oral appliances. In his spare time, Dr. Baratelli enjoys aviation, motorcycling, bicycling, fishing, and cooking.